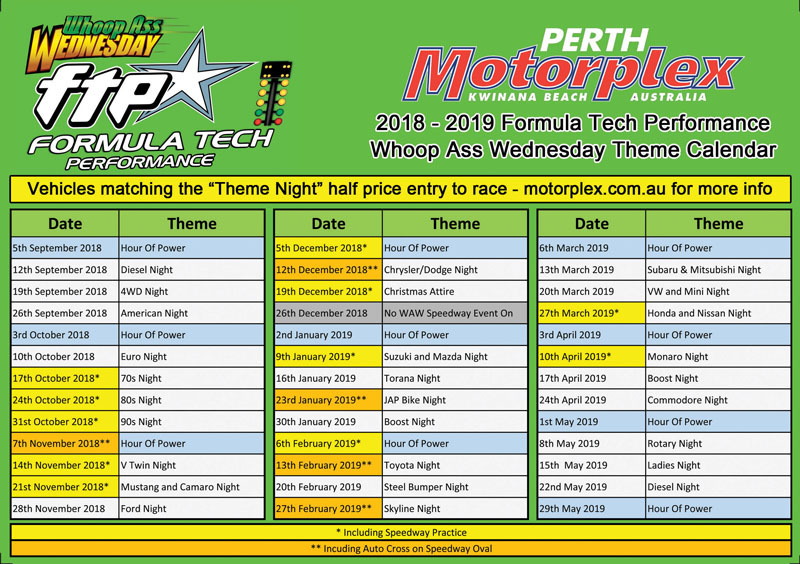 Formula Tech Performance WAW is in full swing and this week we are featuring our Subaru & Mitsubishi Night. Off street drag racing from 6:00pm until 9:30pm and then we will close out the night with Burnouts! Reserve your burnout spot by calling Perth Motorplex on 9419 6622 during office hours.